This is quite a rich dish and makes a lovely accompaniment to spicy grilled chicken or fish. It can be found in the Riverford Organic Farms cookbook. 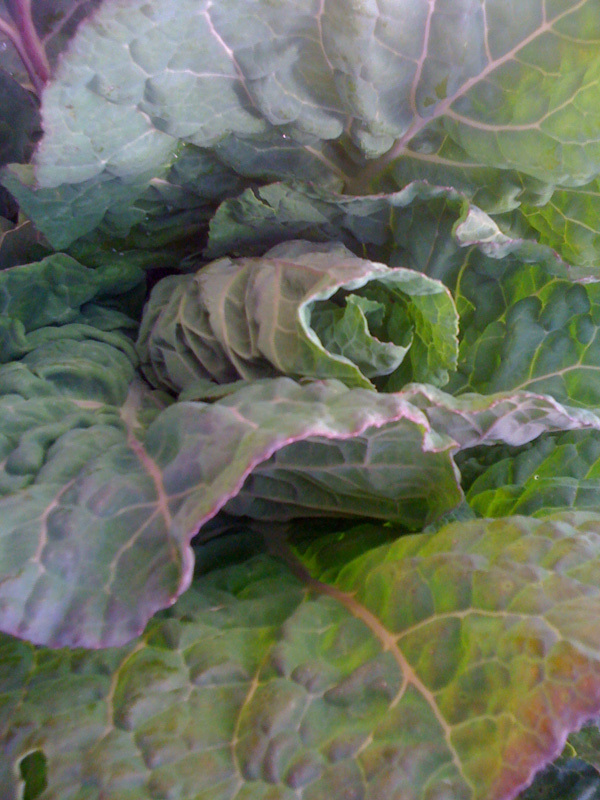 Blanch the spring greens in boiling water for 2 minutes, then drain, refresh in cold water and squeeze out the excess. Set aside. Heat the sunflower oil in a pan, add the garlic and chillies and fry over a low heat for a minute or so. Add the coconut milk and simmer over a high heat for 10 minutes, until reduced by about half. Stir in the spring greens and cook over a medium heat for about 10 minutes, until the coconut milk is just coating the greens. Finish with the lemon juice.